As we explained before, shares make money in two ways. The first is when the company you invest in shares its profits with you in a cash payment called a dividend. The second is when you sell the share at a higher price than you paid for it. An ETF invests in a number of different companies. The shares of all the companies are packaged together and sold in one unit. Like a fruit salad, you buy one thing, but you actually get a delicious mix of things inside. You can sell your ETF share at a higher price than you paid for it, just like an ordinary share. When the companies that the ETF invests in pay dividends, they send the cash to the ETF provider. It’s the providers job to pass the dividends on to you or to reinvest them, in the case of total return ETFs. A company’s share price is determined by a number of factors. A starting point is usually the value of the things the company owns, like buildings, equipment and stock. However, the share price can be influenced by everything from politics and economics all the way down to short-term supply and demand for the share. In other words, the value of things that can be sold in a company is not the only thing that influences a company’s share price. In the case of ETFs, the price is determined by the share prices of the companies the ETF invests in. 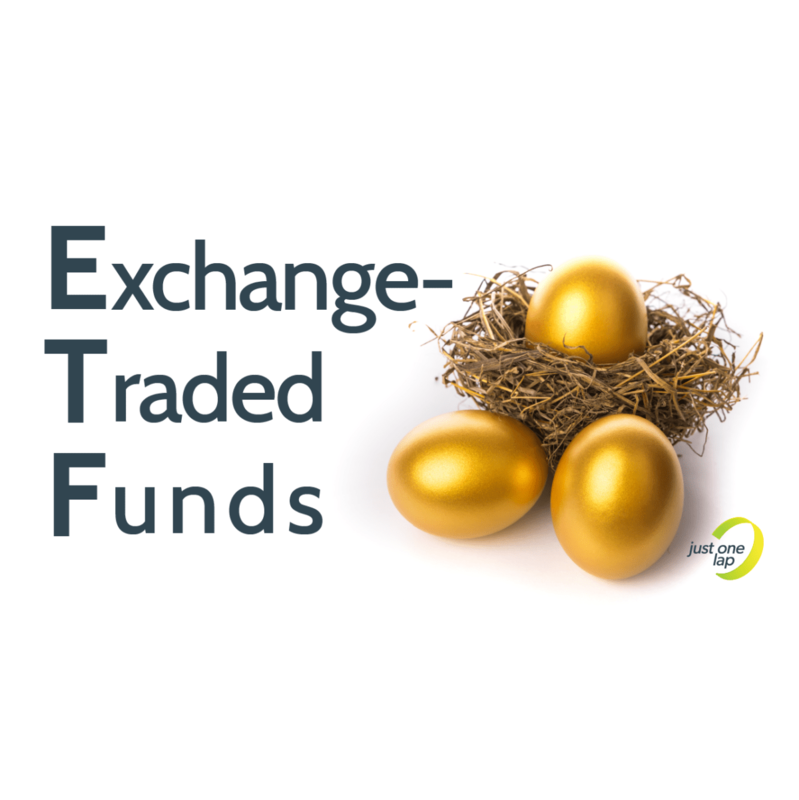 ETF units are created by an entity called a market maker. The market maker makes new units based on the share prices of the companies the ETF invests in. Because the market maker is always around to sell ETF units at a fair price, there’s little opportunity for other sellers to sell the units for more than they’re worth. If someone tries, you can just ignore their offer and buy the cheaper unit directly from the market maker, kind of like buying wholesale. Since supply and demand doesn’t apply to ETFs in the same way they apply to ordinary shares, an ETF’s share price can go up when a single big share gets more expensive or when all the shares get more expensive. That’s why ETF prices reflect the price movement of the market it invests in. As we mentioned, companies that pay dividends send the money to the ETF issuer. It’s the responsibility of the issuer to ensure you get the right amount of dividends and that you pay tax on them (Boo! Hiss!). This is complicated, because just like a fruit salad can have only half or a quarter of a certain fruit, one ETF unit can hold only part of a share. Dividends are paid as cents on a share. That’s easy enough if you have a full share, but what about if you only have a quarter of a share? To simplify matters, ETF issuers only pay out dividends to you at certain dates of the year – either twice or four times. They keep all the dividends in an account that earns interest until the dividends get paid out to you. The good news is you get the interest too. When it comes time to pay dividends, you get the dividends due to you in the right amount from all the companies that paid dividends at the same time. Ca-ching! If you only have a quarter share, you’ll only get a quarter dividend of that share. When the dividends get paid to you, the issuer declares what type of dividend it is so your broker can easily deduct your tax (20% on dividends from shares) before you get the cash. Like shares, ETFs make money through dividends or when you sell the units at a higher price than you paid for it. However, since there’s a market maker, the price of your ETF rises and falls with the prices of the shares the ETF is invested in. That means the biggest holding has to move a lot, in the case of an ETF weighted by market capitalisation, or the whole market has to move a lot. When you buy a single share, you are dependent on that share’s price movement to make money. You hope that the price will rise after you bought it so you can sell it at a higher rate. You also hope the company you invested in will be kind enough to pay dividends. When you invest in an ETF, you buy numerous companies whose share prices can move to help you make money. If you’re invested in a Top 40, which invests in 40 JSE-listed companies, some companies can lose money and some can make money at the same time. Depending on the weighting in your ETF, your ETF could still make money even when individual companies aren’t making money. While the price of an ETF can fall just like an ordinary share, it would need a total market collapse for you to lose all your money. We discuss this concept in detail in this podcast.